Oh dear. Oh dear oh dear oh dear. 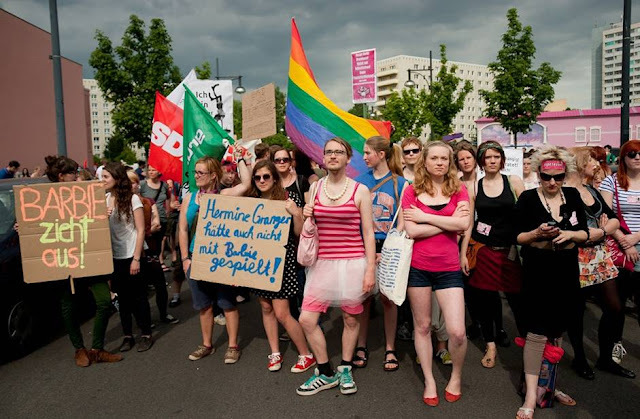 At almost 27,000 square feet, the Barbie Dreamhouse Experience, which opened yesterday in Berlin attracted acerbic (not to mention noisy) protests from Women’s Rights groups such as Femen. 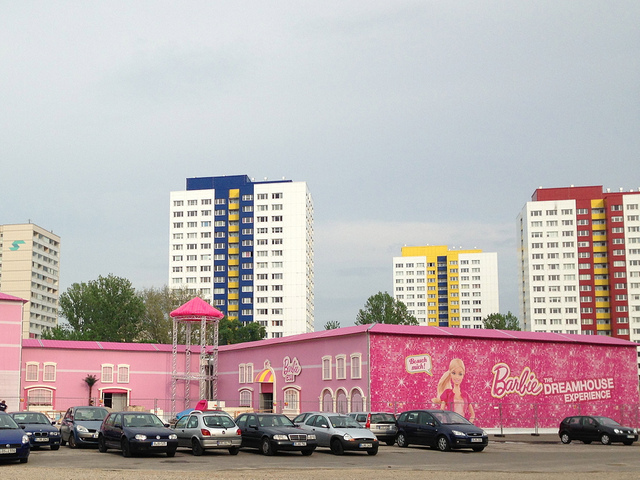 Even if you are ambivalent about Barbie’s use as a plaything for girls, you can see their point. One can only ponder what horrors of a fuchsia, salmon, or rose hue lie within. Myself, this has made me wonder why these demonstrators were not joined by architecture aficionados who must surely see this monstrosity in pink as the affront to creative planning, design and construction it truly is. Shudder.